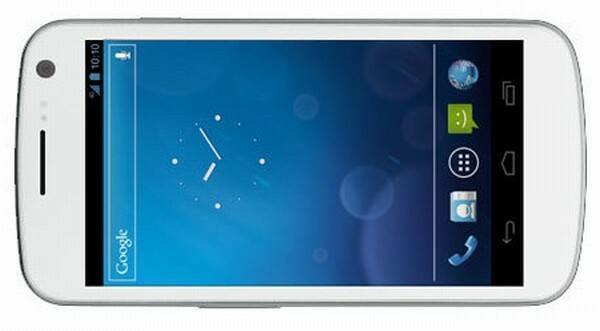 Samsung Galaxy Nexus 32GB + White Version Incoming! One of the biggest (and nearly the only issue if it wasn't for the camera) issues I have with the Samsung Galaxy Nexus is the lack of a microSD card slot. Well, the issue is actually with the maximum space of 16GB, the lack of a slot just means it can't be expanded. I know from a lot of people that this is something that actually stops them investing in the Galaxy Nexus too. Well we might have some good news for you. We've just been informed by our friends over at Expansys that Samsung have confirmed that the 32GB version of the Samsung Galaxy Nexus should be available (fingers crossed) from the first week of February! Great news from those who held off from buying the 16GB version, but perhaps still later than most of us would have preferred..
Expansys have also gotten confirmation that the white version of the Galaxy Nexus will be available in about two weeks time, although this will only come in the form of the 16GB version. I know a lot of people will be very excited by the white version, but it's not entirely to my taste... Now mention an orange and black version and I might just be interested! !